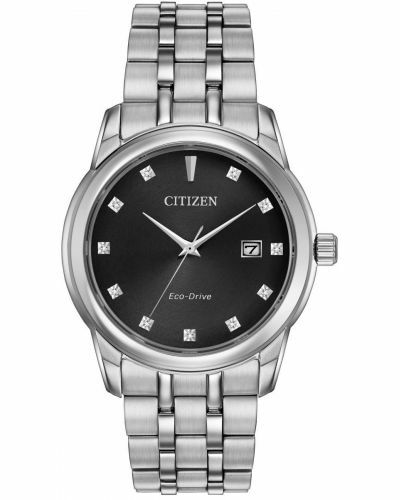 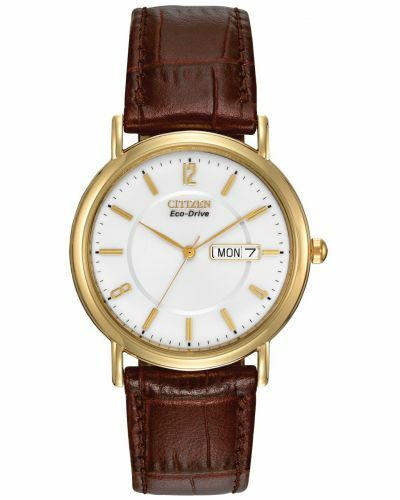 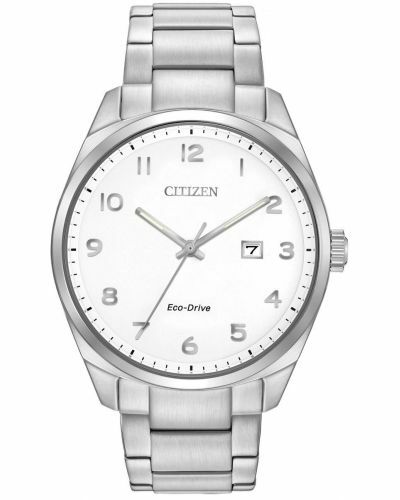 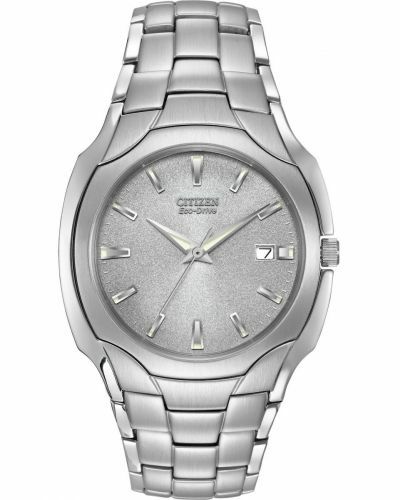 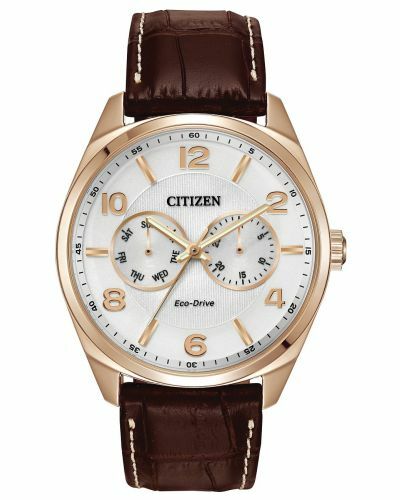 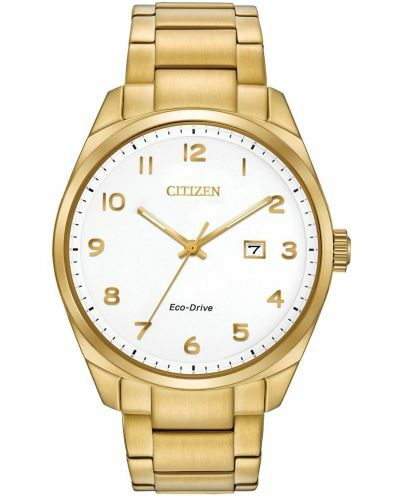 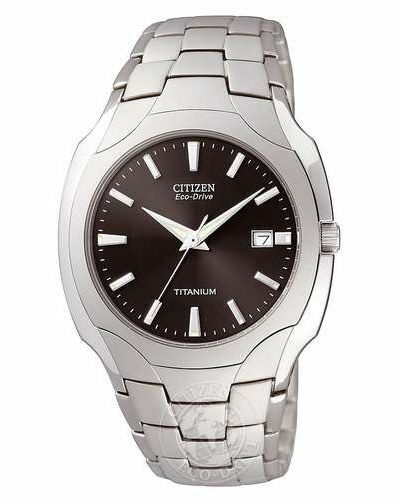 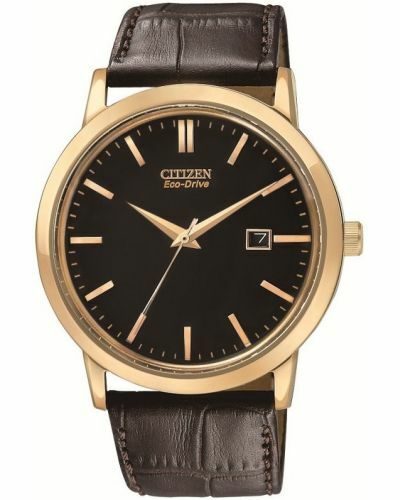 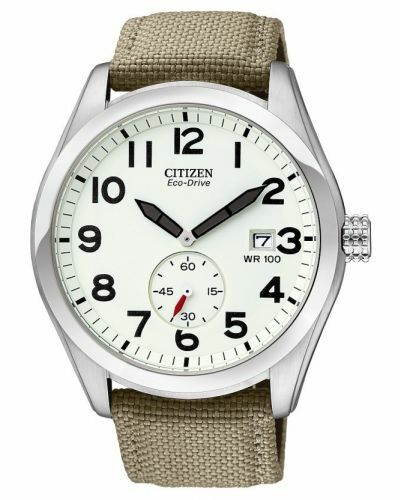 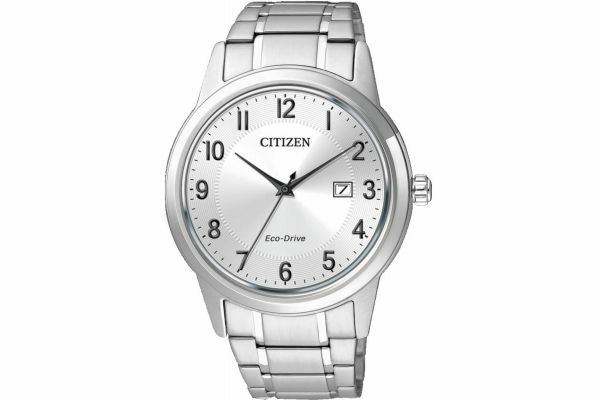 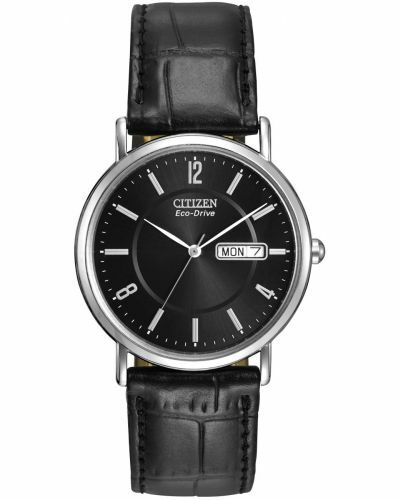 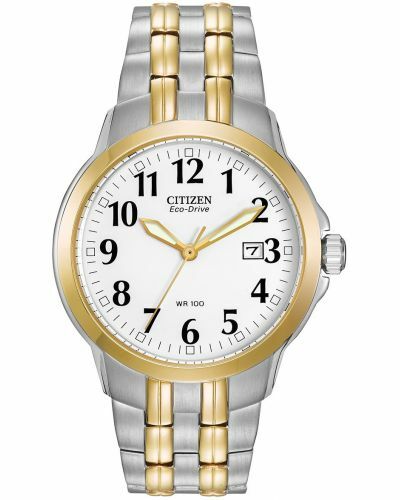 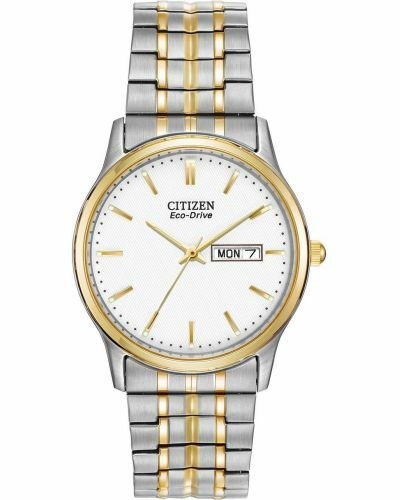 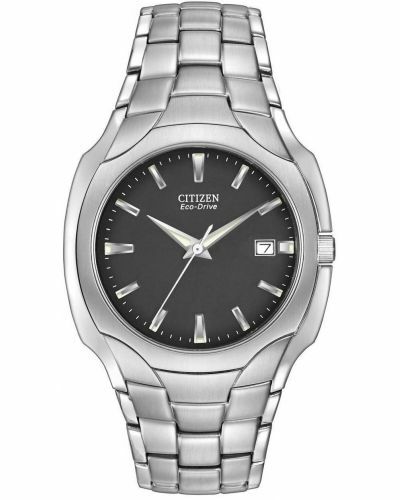 This clean and classic mens watch from Citizen has a stainless steel bracelet, grey/silver dial with bold black numerals and hands for fantastic clarity. 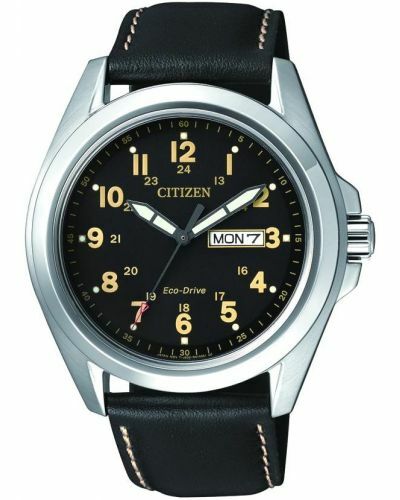 The date is also displayed at the 3 o'clock position. 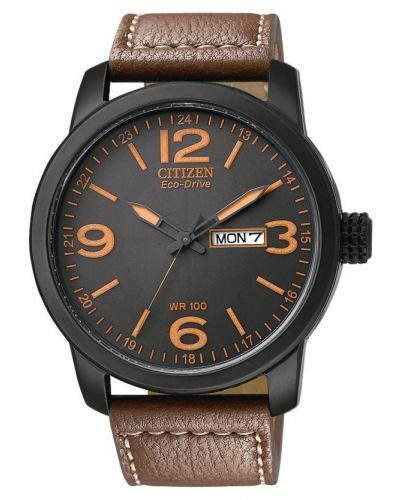 This watch is solar powered and comes with a 5 year guarantee.